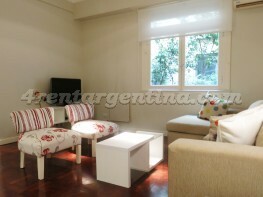 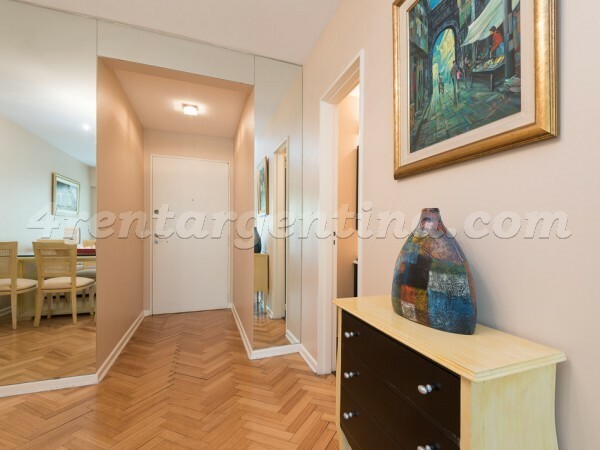 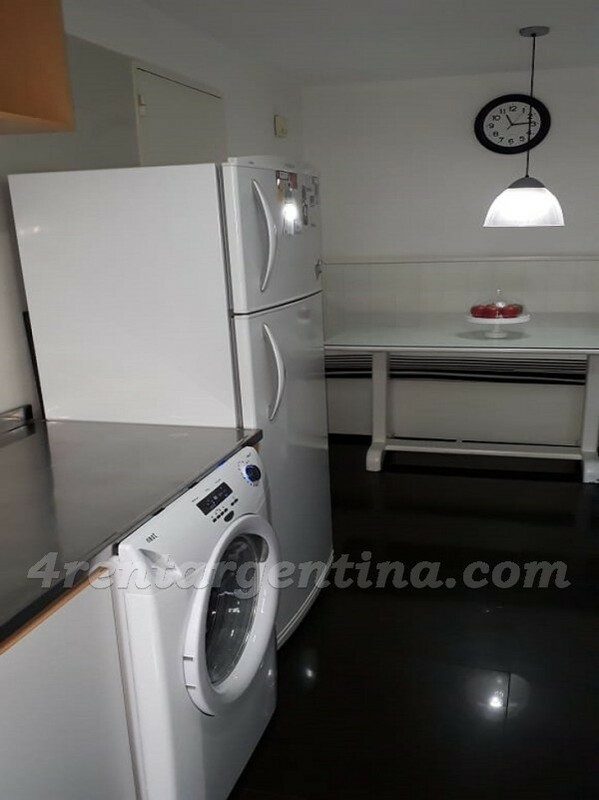 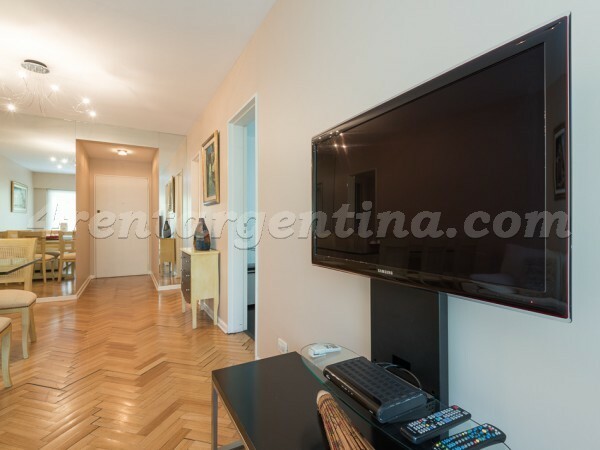 Spacious furnished apartment for temporary rent in Buenos Aires, located in Palermo, just two blocks from the wide and beautiful sidewalks of Libertador Avenue. 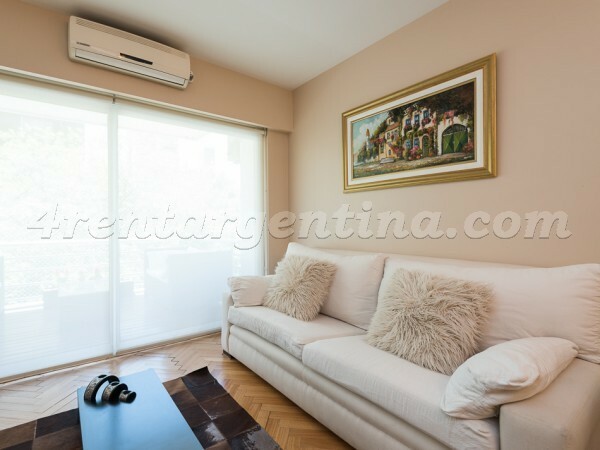 This apartment is surrounded by emblematic green spaces; For example: the Japanese Garden, Germany Square, Botanical Garden, Plaza Italia and the Rosedal. 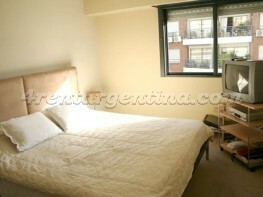 This area is surrounded by several means of transporation, restaurants and shops. 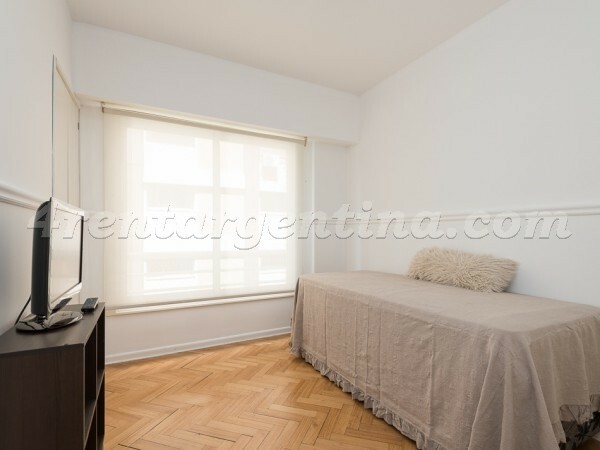 This comfortable apartment is ideal for four people, as it has a double bed in the main room and a trundle bed in the other bedroom. 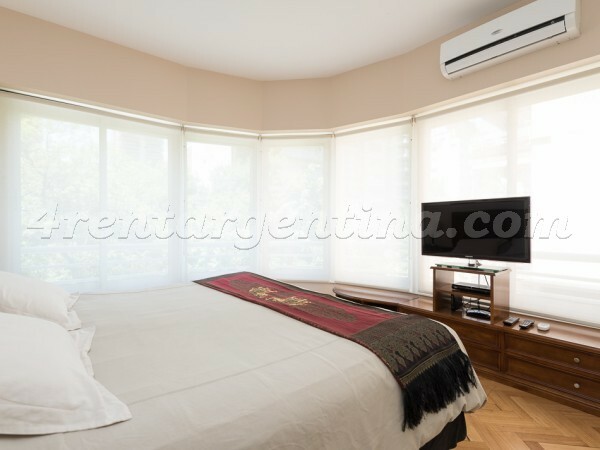 One of the bedrooms has a large window that brings bright natural light to the apartment. 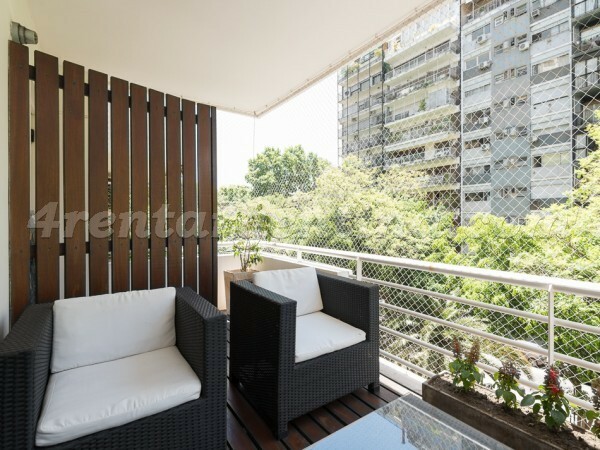 We can also notice that this place has an unusual elegance, this is evident not only in the beautiful paintings hanging on its walls or its refined furniture, but also on that large balcony terrace where you will find two beautiful armchairs and a sofa. 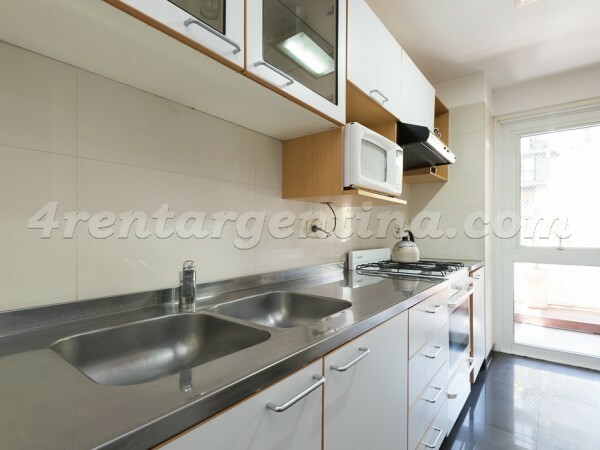 On the other hand, the apartment has a full bathroom (bath, shower and bidet) and a toilette.